This article is about the monarchy of the Bahamas. For information on the other countries which share the same person as monarch, see Commonwealth realm. The monarchy of the Bahamas is a system of government in which a hereditary monarch is the sovereign of the Commonwealth of The Bahamas. The current monarch is Queen Elizabeth II, who has reigned since the country became independent on 10 July 1973. The Bahamas share the Sovereign with the other Commonwealth realms. The Queen does not personally reside in the islands, and most of her constitutional roles are therefore delegated to her representative in the country, the Governor-General of the Bahamas. Royal succession is governed by the English Act of Settlement of 1701, which is part of constitutional law. The Bahamas are one of sixteen independent nations, known as Commonwealth realms, which separately recognise the Queen as their individual monarch and head of state. Despite sharing the same person as their respective monarch, each of the Commonwealth realms — including the Bahamas — is sovereign and independent of the others. The Balfour Declaration of 1926 provided the dominions the right to be considered equal to Britain, rather than subordinate; an agreement that had the result of, in theory, a shared Crown that operates independently in each realm rather than a unitary British Crown under which all the dominions were secondary. The Monarchy thus ceased to be an exclusively British institution, although it has often been called "British" since this time (in both legal and common language) for reasons historical, legal, and of convenience. The Royal and Parliamentary Titles Act, 1927 was the first indication of this shift in law, further elaborated in the Statute of Westminster, 1931. Under the Statute of Westminster, the Bahamas have a common monarchy with Britain and the other Commonwealth realms, and though laws governing the line of succession to the Bahamian throne lie within the control of the Bahamian Parliament, the Bahamas cannot change the rules of succession without the unanimous consent of the other realms, unless explicitly leaving the shared monarchy relationship by means of a constitutional amendment. This situation applies symmetrically in all the other realms, including the UK. On all matters of the Bahamian State, the Monarch is advised solely by Bahamian ministers. 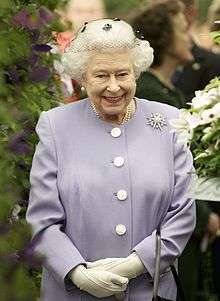 In the Bahamas, the Queen's official title is: Elizabeth the Second, by the Grace of God, Queen of the Commonwealth of The Bahamas and of Her other Realms and Territories, Head of the Commonwealth. This style communicates the Bahamas's status as an independent monarchy, highlighting the Monarch's role specifically as Queen of the Bahamas, as well as the shared aspect of the Crown throughout the realms. Typically, the Sovereign is styled "Queen of the Bahamas," and is addressed as such when in the Bahamas, or performing duties on behalf of the Bahamas abroad. The Bahamian constitution is made up of a variety of statutes and conventions that are either British or Bahamian in origin, which gives the Bahamas a similar parliamentary system of government as the other Commonwealth realms. All powers of state are constitutionally reposed in the Monarch, who is represented by the Governor General of the Bahamas — appointed by the Monarch upon the advice of the Prime Minister of the Bahamas. The Monarch is informed of the Prime Minister's decision before the Governor General gives Royal Assent. The current constitution for the Commonwealth of the Bahamas is part of the Schedule to the Bahamas Independence Order of 1973, made under the Bahamas Islands (Constitution) Act 1963. The Order came into operation on 10 July 1973. The first section declares: "The Commonwealth of The Bahamas shall be a sovereign democratic State." Most of the Queen's domestic duties are performed by the Governor-General. The Governor-General represents the Queen on ceremonial occasions such as the opening of Parliament, the presentation of honours and military parades. Under the Constitution, he or she is given authority to act in some matters, for example in appointing and disciplining officers of the civil service, in proroguing Parliament. As in the other Commonwealth realms, however, the Monarch's role, and thereby the vice-regent's role, is almost entirely symbolic and cultural, acting as a symbol of the legal authority under which all governments operate, and the powers that are constitutionally hers are exercised almost wholly upon the advice of the Cabinet, made up of Ministers of the Crown. It has been said since the death of Queen Anne in 1714, the last monarch to head the British cabinet, that the monarch "reigns" but does not "rule". In exceptional circumstances, however, the Monarch or vice-regal can act against such advice based upon his or her reserve powers. There are also a few duties which must be specifically performed by, or bills that require assent by the Queen. These include: signing the appointment papers of Governors General, the confirmation of awards of honours, and approving any change in her title. It is also possible that if the Governor General decided to go against the Prime Minister's or the government's advice, the Prime Minister could appeal directly to the Monarch, or even recommend that the Monarch dismiss the Governor General. Succession to the throne is by absolute primogeniture, and governed by the provisions of the Succession to the Crown Act 2013, as well as the Act of Settlement and English Bill of Rights. These documents, though originally passed by the Parliament of England and of the United Kingdom, are now part of the Bahamian constitutional law. This legislation lays out the rules that the Monarch cannot be a Roman Catholic and must be in communion with the Church of England upon ascending the throne. As the Bahamas's laws governing succession are currently identical to those of the United Kingdom (by the Statute of Westminster) see Succession to the British Throne for more information. 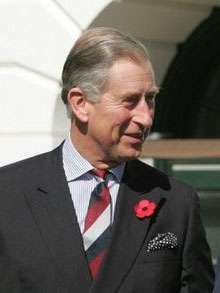 The heir apparent is Elizabeth II's eldest son, Charles, who has no official title outside of the UK, but is accorded his UK title, Prince of Wales, as a courtesy title. 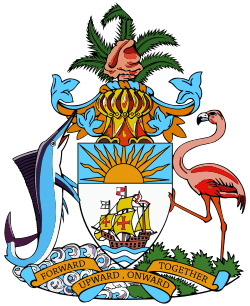 All laws in the Bahamas are enacted with the sovereign's, or the vice-regal's signature. The granting of a signature to a bill is known as Royal Assent; it and proclamation are required for all acts of Parliament, usually granted or withheld by the Governor General. The Vice-Regals may reserve a bill for the Monarch's pleasure, that is to say, allow the Monarch to make a personal decision on the bill. The Monarch has the power to disallow a bill (within a time limit specified by the constitution). The Sovereign is deemed the "fount of justice," and is responsible for rendering justice for all subjects. The Sovereign does not personally rule in judicial cases; instead, judicial functions are performed in his or her name. The common law holds that the Sovereign "can do no wrong"; the monarch cannot be prosecuted in his or her own courts for criminal offences. Civil lawsuits against the Crown in its public capacity (that is, lawsuits against the government) are permitted; however, lawsuits against the Monarch personally are not cognizable. The Sovereign, and by extension the Governor General, also exercises the "prerogative of mercy," and may pardon offences against the Crown. Pardons may be awarded before, during, or after a trial. In the Bahamas the legal personality of the State is referred to as "Her Majesty the Queen in Right of the Bahamas." For example, if a lawsuit is filed against the government, the respondent is formally described as Her Majesty the Queen in Right of the Bahamas. The monarch as an individual takes no more role in such an affair than in any other business of government. The Queen and members of the Royal Family have toured The Bahamas on several occasions. As part of larger Caribbean tours, the islands were visited by The Queen and her husband in February 1966 and February 1975, and again during her Silver Jubilee tour of October 1977.